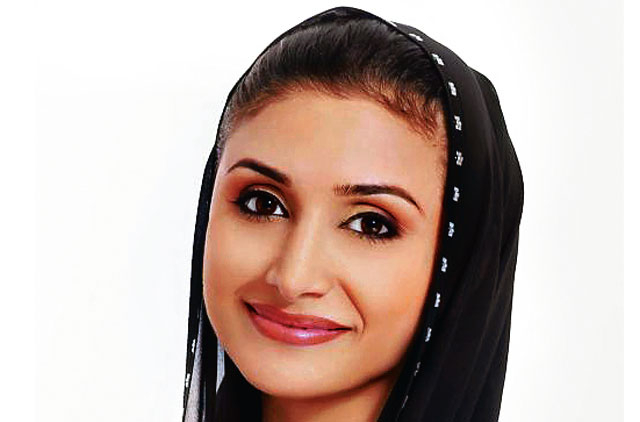 This strong advocate of women’s rights is also the first woman and youngest person in the UAE to hold a seat in parliament. During her four-year term she served on the Education, Youth, Media and Culture Committees, as well as the Parliamentary Steering Committee, established to develop a scheme to modernise the parliament’s practices and overall effectiveness. She has also served on the Foreign Affairs, Planning, Petroleum, Mineral Wealth, Agriculture and Fishery Committees. Najla, 34, is also the first woman from a GCC country to be a chief executive in a state-run media organisation. She served as the Chief Executive Officer of Channels at Dubai Media Incorporated (DMI). She is a member of the World Economic Forum’s Young Global Leaders and also a Member of the Global Agenda Councils of the World Economic Forum. In addition, she was acting chairperson for the regional board of Young Arab Leaders (YAL). “Throughout my career in media and later in parliament, the moments I never forget have been the moments where I’ve been able to create awareness about the issues pertinent to the progress of our society, and the moments where I’ve been able to help others realise their true potential to stand strong, and to be productive and ethical in life. Those have been the moments that will always stay with me,” she explains. She has also been a Board Member in YAL’s UAE Chapter and headed its education initiative that sought to provide higher education opportunities to talented UAE nationals. She also sits on the Advisory Board of the University of Southern California’s Center on Public Diplomacy, and is a board member of Dubai Women’s Establishment. When asked about her current endeavours, she says, “As a passionate advocate of equitable rights for women, I chose to start my own organisation, Najla Al Awadhi Consulting. The primary focus of my organisation is to empower women by providing them with training in life and leadership lessons.” She believes that society is not easy on women but one must never give up. In the next few years she aims to focus on women’s rights, on developing a progressive civil society especially among youth, and on her family.